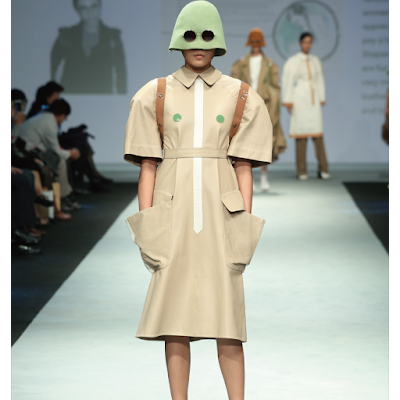 TAIPEI - Taiwan Fashion Design Award (TFDA) has become a major annual event in Asia’s fashion industry. It is organized by the Industrial Development Bureau, Ministry of Economic Affairs in Taiwan and executed by the Taiwan Textile Federation (TTF). In 2017, the registration starts now to the end of the June. The competition theme allows all the potential designers to display their inspiration and creativity, and 12 outstanding participants are to be chosen for the final selection this year. Since the beginning of 1987, those participants who ever took part in TFDA, more than 80% devoted their effort to textile and fashion industry, others were constantly prepared for further studies. Therefore, the aim of the TFDA is to encourage fashion design students to expand their horizons into an international level and to strengthen the designer’s competitiveness ultimately. This year, TFDA has been supported by Taiwan’s textile and fashion industry, the sponsorship of ECLAT Textile Co., Ltd., Fortune Industrial and Commercial Development Foundation., Wintex Knitwear Corp., and Yi Jinn Industrial Co., Ltd. Thanks for their donation in order to encourage more participants in this contest. For more information, please visit our website: http://www.tfdaward.com, and we would be welcome you to join this international competition.